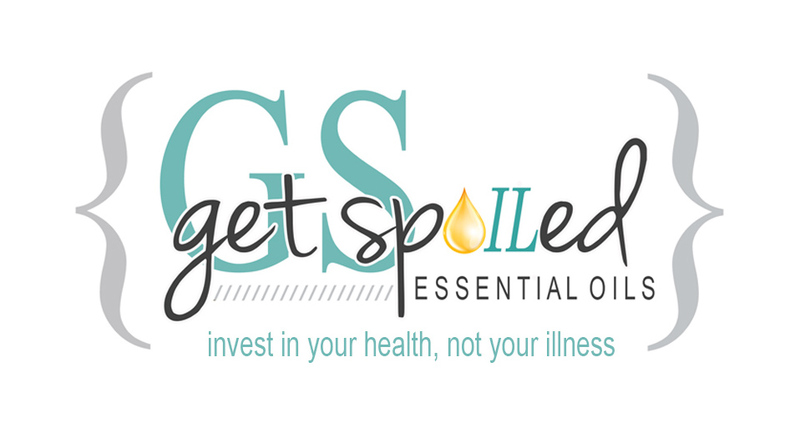 Get Spoiled: Are you tired of being "Sick and TIred"? Are you tired of being "Sick and TIred"? “I’m so tired”, has to be one of the most common complaints among my circle of friends today. I know firsthand, because it used to be mine. So what changed? Now I know you’re waiting for me to say that I have this little “magic pill” or a “program” of some sort. Surprise! It’s not! It's something that lies right under your nose! 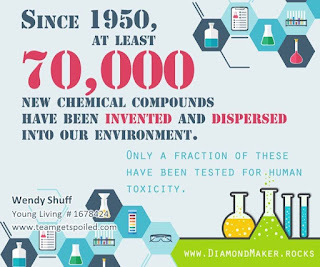 Of course there are many underlying conditions, and as many variances as there are people, however, there is one thing that I do know that is consistent, toxic chemicals! Yes, chemicals. What kind? They vary from the cleaners under your sink to the air fresheners in your wall plugs. “How does smelling good hurt me?” you might ask. Well, just about every cleaning product or products that contain a synthetic fragrance have the ability to wreak havoc on your body, and your body’s chemistry. These toxic chemicals are also endocrine distruptors. What’s that? Well, the endocrine system is just a “little thing” that controls EVERYTHING in your body! We are all familiar with hormones, I mean, don’t we “blame” everything on hormones, lol. Well, when your body is “disrupted” by chemicals, so are the hormones that keep your metabolism running smoothly. It’s not enough to just make better eating choices, we also have to do our best in avoiding environmental toxins outside our home and more importantly, making better choices inside our own homes. “According to a survey taken by the EPA, every single person tested showed some evidence of petrochemical pollution in their body tissues and fat. Some of the chemicals found included styrene (used in plastics), xylene (a solvent in paint and gasoline), benzene, a chemical found in gasoline), and toluene (another carcinogenic solvent).” (Essential Oils Desk Reference, Sixth Edition). 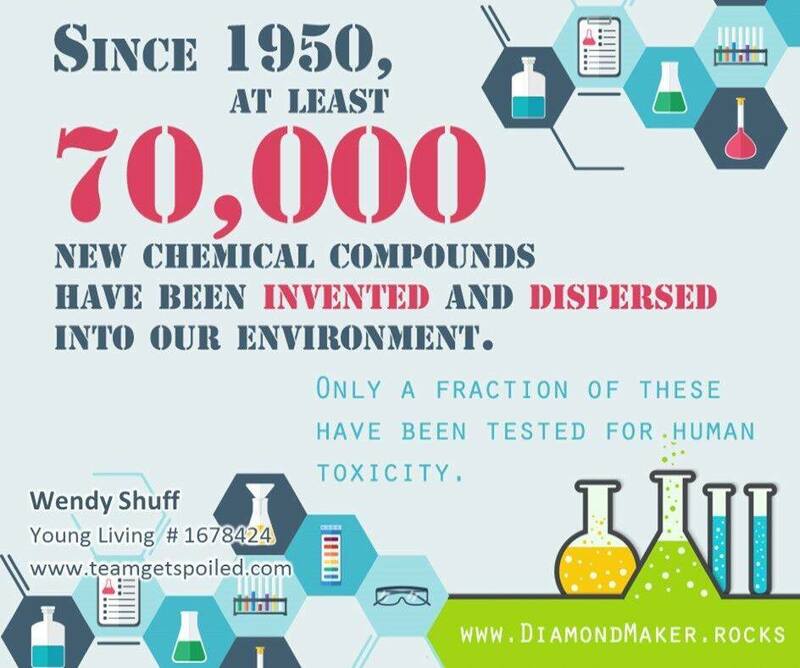 Take a look at how many toxic substances have been "grandfathered in", & deemed "safe", by the TSCA, over 65,000! Also check out "30 Ways to Poison Yourself Before Breakfast". So what’s the harm? Inflammation is probably the biggest concern. Inflammation is the precursor to every disease process known to man. Inflammation occurs due to poor diet, infection, hormonal imbalance, physical injury, and CHEMICALS! There it is again, chemicals. They creep up on us in every aspect of our lives. So what can we do? 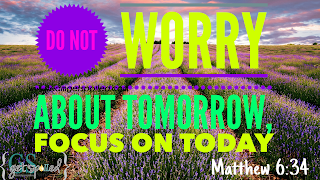 Well, first, we CAN choose to not worry over the things we cannot change! What can we change? There’s great news on that front! There are SO MANY THINGS you can do. Let’s get started! Plastics leach some of the most hazardous carcinogens on the planet.” Everything comes in plastic.” you say. It sure seems that way. However, once you start looking for alternatives, you’ll find it’s not so hard. Start making better choices on the grocery store shelves. Buy the pickles in glass, instead of plastic, the jelly, the sauce, etc., and SAVE ALL YOUR GLASS. Ditch the plastic wrap, Styrofoam, plastic storageware, water bottles, etc. Storing food/leftovers in plastic is a huge source of toxicity. I mean, think about the spaghetti (loaded with natural acids) just sitting in polyvinyl chloride chemicals. Ugh! Then microwave that spaghetti up, in the plastic. We’ve all done it, but just think of all that plastic leaching into the spaghetti. I don’t want to eat that! While we’re talking about the microwave, let me challenge you to a little experiment. Plant 2 pots of seeds, any seeds. Water one with microwaved water (approx 15-30 sec), and the other with tap water. We all know cholorinated water is not the best for growth, but you’ll soon see that the microwaved water will not sprout the seeds, but the chlorinated water will. So, microwaves are for warming your ………. Hmmmm, nothing! 2.. Rethink all bleached products like paper towels, wipes, coffee filters, toilet paper, etc. These bleached products don’t come “naturally white”. They are drenched in bleach, which contains dioxins, which have been found to be more harmful than pesticides. “So, what will we use?” Opt for the old-fashioned dish towels instead of paper towels or wipes. Search for personal care products that are made from natural fibers. They aren’t hard to find, your favorite grocery or online store usually has them in stock. Here’s where I get mine. Disclaimer: Post contains affiliate links with Amazon.com. If you purchase through these links, your cost will be the same, but Get SpOILed will receive a small commission, which helps to cover some of the costs on this site. We appreciate your support! The recommended products are things I've used and recommend. 3. Give up antibacterial soaps, shampoos with sulfates, sodium laurel sulfates, and parabens, your ordinary dish, and clothing detergents. What! Yep, make the change! First, “antibacterial” means “against bacteria”, ALL bacteria. You NEED some bacteria people! The absence of bacteria will cause a restistance over time. If that’s not enough, the triclosans, in the antibacterial soap, when mixed with chlorinated water (unless you use distilled water, like we do that? lol), will form chloroform. Yuck! 20 drops of your favorite essential oil (per 8 oz). *Use any foaming hand soap dispenser ( Shown.) of your choice. Your skin is your body's largest organ and fabric softener is one of the deadliest chemicals in your home. We use wool dryer balls with essential oils to soften and scent our clothes. 4. Let’s talk toothpaste too! Because your health begins in your mouth, it's very important to start here. Most toothpaste contains fluoride. Why is this a bad thing? I thought it was good? Fluoride has been linked to many reported health concerns from osteosarcoma , bone fractures, to affecting organs like the kidneys, thyroid, brain and other organs. Fluoride is not a nutrient and the body has no need for it. Did you know that fluoride was actually used by doctors to suppress thyroid function? Yes, you heard that right! Take a look at this : *“European doctors prescribed fluoride to suppress thyroid function in patients with hyperthyroidism (overactive thyroid). It was an effective medication in reducing thyroid activity at as low a dose as 2mg a day. People with fluoridated water may be ingesting doses up to 6.6 mg a day. Could this have anything to do with the increase of hypothyroidism in the U.S.?” **(Essential Oils Desk Reference, Sixth Edition, LSP.). We use all Young Living Oral Care Products in our home, and can boast a “smiling” report for over 3 years! So again, make better choices at the store. Look for natural products that are free of toxic chemicals. I get mine from Young Living. Click here to buy Young Living Products (From the menu on the left, choose “Product Line”, then “Personal Care”. 5. Lastly, give up those harmful cleaners and synthetic fragrances! This is a HUGE category, one I could go one for days about, but let’s try to be concise. The MOST TOXIC OFFENDERS are dryer sheets, fabric softener, oven cleaner, drain cleaner, toilet cleaner, and anything with bleach or ammonia. How will you clean? Go "old-school", try vinegar, baking soda, Castile soap, hydrogen peroxide, salt, lemons, newspaper, and elbow grease. Again, make better choices , on the shelf: Meyers, Seventh Generation, & Dr. Bronners. My absolute FAVORITE all-purpose cleaner is Thieves Household Cleaner. 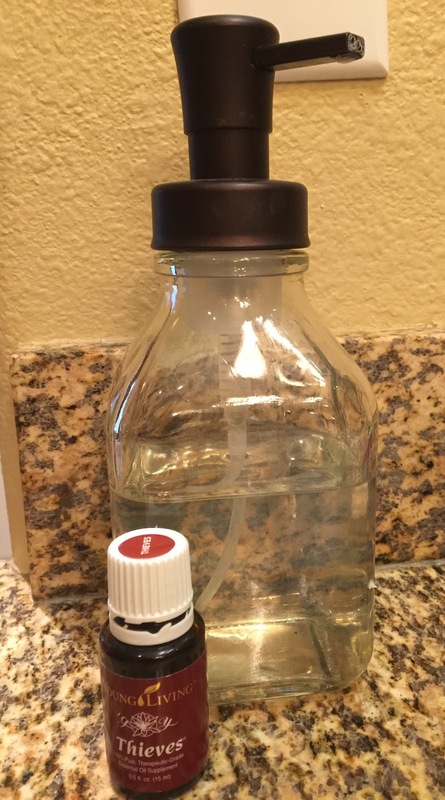 Armed with the power of Thieves essential oils, it is an all-in-one cleaner that costs just pennies a day to use! I clean everything from my fruit to the floors with just this one bottle. It can be used for virtually any surface in your home or office and is safe to use around the entire family, even the pets. What cleaner can say that? What about fragrances? How will my house, clothes, and my body smell good? Why not use something that not only smells good, but that is actually beneficial to your health? 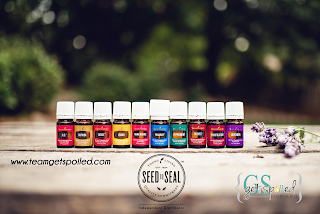 Essential oils have been used for thousands of years for aromatic/cosmetic purposes, as well as for their spiritually and emotionally uplifting properties. Young Living has always been at the forefront of bringing this ancient tradition to modern users, introducing to the world, the possibility of total mind/body wellness. Essential oils have the ability to affect multiple body systems to restore balance and vitality. They will afford your family the ability to take control of your own health and wellness, while creating an environment free of toxic chemicals. Whew! That's a LOT to take in! “Rome wasn’t built in a day”, nor should you try to accomplish a major lifestyle change in a day. Know your limitations and willingness to change. Work within those guidelines and goals you have set for yourself and for your family. Every small step is still a step! Disclaimer: Post contains affiliate links with Amazon.com. If you purchase through these links, your cost will be the same, but Get SpOILed will receive a small commission, which helps to cover some of the costs on this site. We appreciate your support! 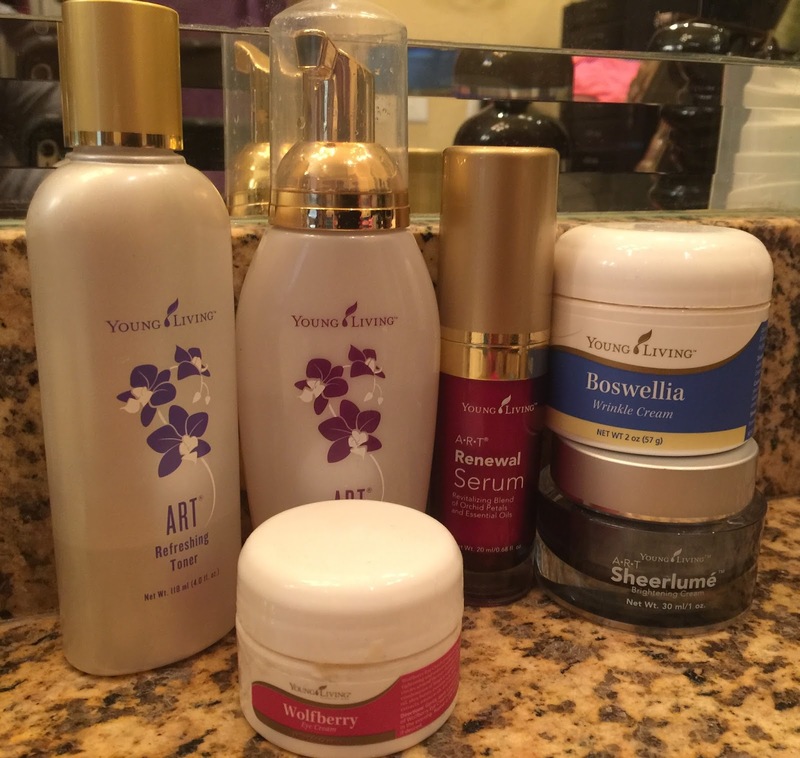 The recommended products are things I've personally used and recommend.